I went to Cornwall when I was young. So it’s no surprise really that we haven’t been back to Cornwall for some time. We were looking at where to book for our next Sun £9.50 holiday, and the choice was limited being that we were aiming to go in the last week of the summer holidays (well, the last week for our school anyway, since they tacked on a couple of inset days to make it a week later than a lot of schools yay!). 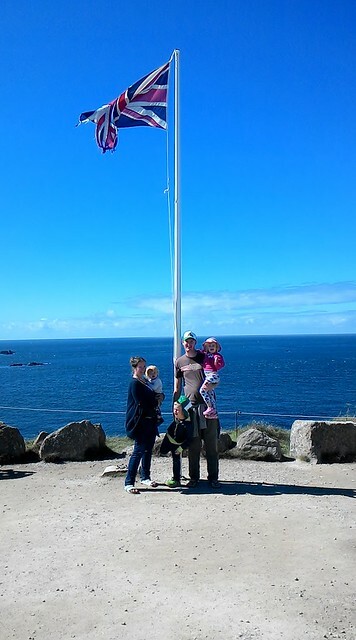 The options were mainly Scotland, or Cornwall…and the kids voted Cornwall. 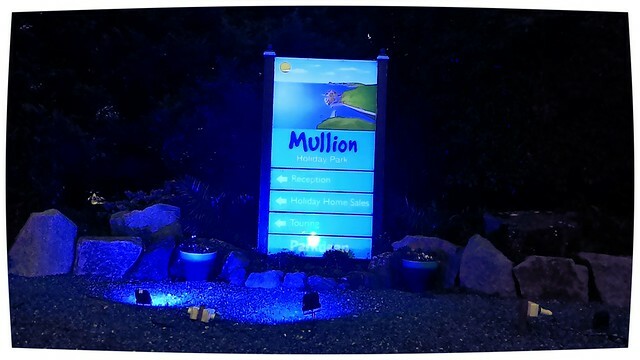 What made it an easier choice straight away was that the Parkdean website has very useful videos of all the park features which the kids loved watching, and I found handy to judge exactly what we might expect from the holiday park we were looking at – that being Parkdean Mullion. And to be honest, as soon as the kids saw the swimming pool on offer and the fact that Flambards theme park was right nearby, there was no chance we were going anywhere else. One brief ‘are we really going to do a six hour drive with three small kids’ wobble later, and it was booked. The drive went much better than expected! We turned up early evening, and there was no queue to check in – our key was ready and waiting along with a really convenient pack of local info. The ‘useful local sat nav postcodes’ leaflet was a very thoughtful touch and much appreciated! 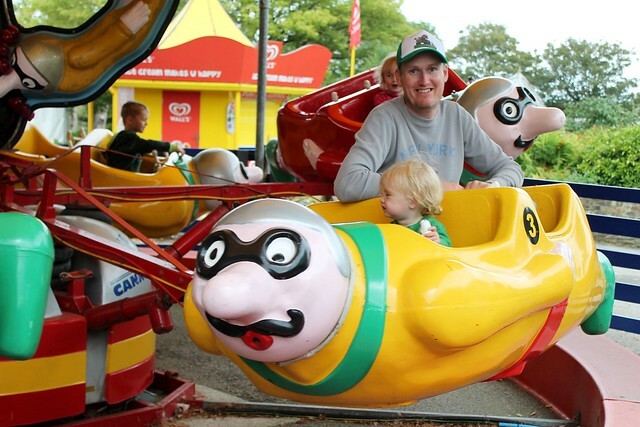 I’d sent the Other Half and the kids to check out the adventure playground (complete with zip wire, large wooden adventure castle, swings, playhouse and smaller toddler activity area) while I checked in but as it happened they didn’t really need to, the process was so fast! 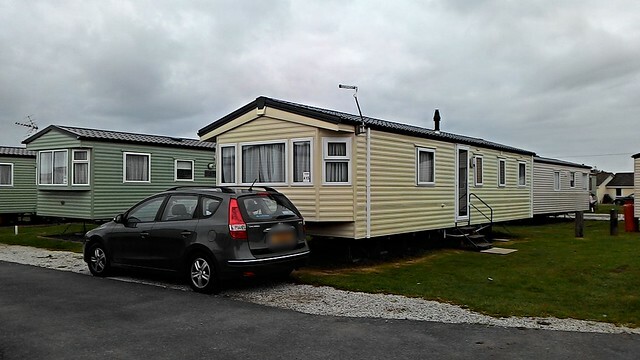 So I decided to go and take a look at out caravan and drop off some bits while they were occupied – which was serendipitously located only a few seconds walk from where we’d parked our car. 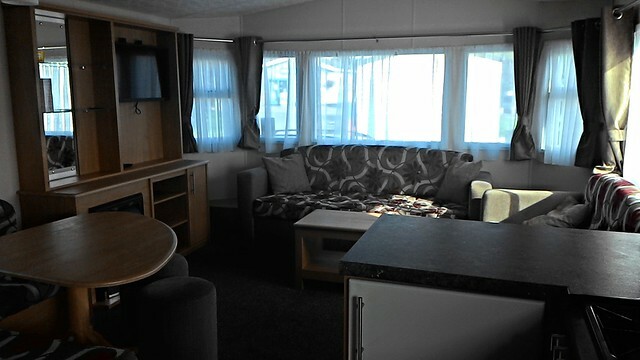 The caravan, I have to say, it probably the nicest holiday park caravan we have ever stayed in. Everything was clean, it was really carefully laid out, and the duvets felt fresh and fluffy. The kitchen was well equipped, the sofas were comfy…all in all I was very excited to show it to the kids because I knew they’d love it too! And they did. In fact, Little B loved the fridge a little TOO much. She learnt to walk a couple of days before we went away and using her newfound uprightness, she wasted no time in mastering opening and closing the fridge door, and removing the contents of it. I do think it might be useful to have some kind of child lock on the fridge – but of course that’s an added extra that would be appreciated, not a necessity. Sitting down to tea, we found one other minor problem with the caravan – the board under one of the table seating pads was cracked and Seb nearly went through it. It wasn’t a problem for long though, I reported it to reception the next morning and they sent someone out to fix it pretty quickly with no fuss at all. Once again very impressed with the friendly efficient service! 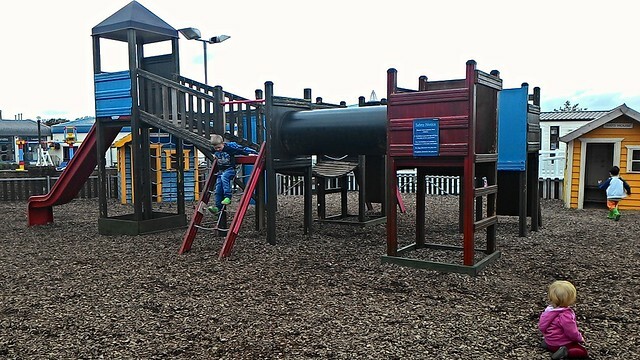 The evening entertainment is something that the kids always enjoy at holiday parks, and so once we were settled, the car unpacked, and dinner eaten, we headed off to see what was on offer. As usual, getting to the disco meant walking through the arcades first; and again, as usual, the badgering started straight away for money for the machines. With a bit more investigation the next day, I did find that there was a side entrance that bypassed the majority of the arcades though which was a nice surprise – quite often it’s impossible to avoid the arcades in holiday parks in our experience. 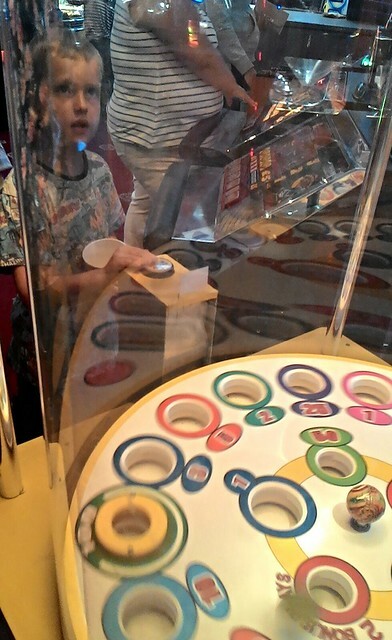 (and we did let the kids play on the arcades. We aren’t THAT mean). The disco was fun, the flashing bubble guns and swords were reasonably priced, and the ubiquitous drink refill thingys were fairly good value at £3.95 to start with and £1.95 a refill afterwards. I liked the fact that some thought had gone into making the entertainment interesting for adults too – the retro roundup with kids having to try and figure out what a ‘cassette tape’ or a ‘boom box’ were from a box of props was pretty amusing. And D was very, very excited to find out there was a talent show. She’d only just turned four a week earlier, but she was insistent she was going to get up on stage and sing in front of hundreds of people – and she did! The staff were so supportive and helpful and it absolutely made her holiday, she still hasn’t stopped talking about it. 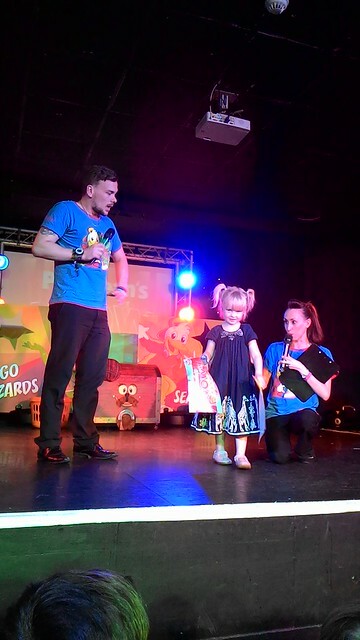 There weren’t many entries and so all the kids got prizes but she wasn’t really too worried about that anyway – just the experience of being able to stand up on stage and do something she loves was enough. She’s definitely a lot lot braver than I was at that age! The second day, we checked out the swimming pool. It was a bit chilly, and we were rather put off as it wasn’t particularly enjoyable. It was meant to be ‘tots time’ for under 5’s, but it turned out that just meant that half the pool was roped off and the rest was full with big splashy kids, splashing the cold water everywhere. Not fun for an 18 month old! 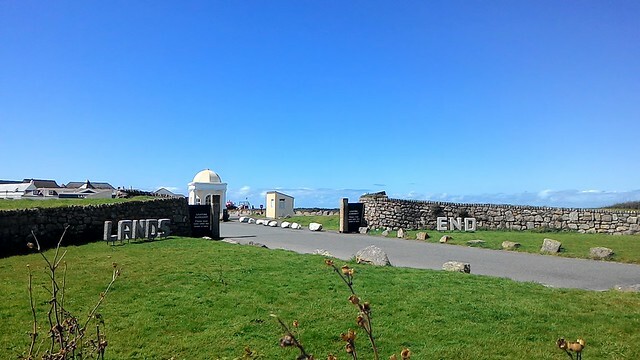 So we decided to head out to Lands End and be the most West we could be instead. 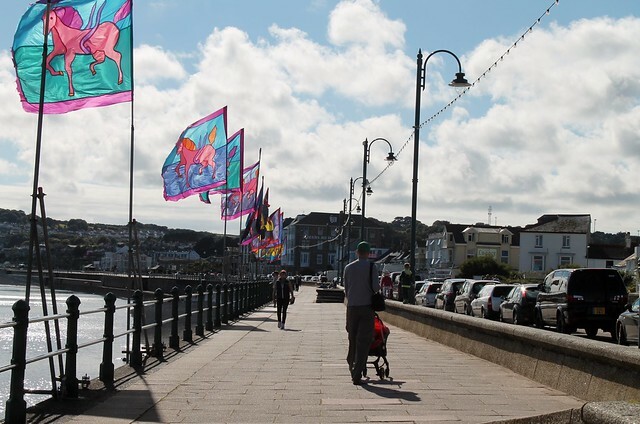 And then, we headed to Penzance, which was beautiful with all the colourful flags flapping in the breeze down the seafront. Next day we visited Kynance Cove, and I think, after a 15 minute walk from the car park to actually get down to the beach, we were all absolutely bowled over by how beautiful it was. Being sheltered by tall rocky cliffs on each side, the wind that whipped us around in the car park was not really in evidence at all down on the brilliantly golden sand, and the sea – with its perfectly child sized waves – was that sparkling shade of teal that you see on the front of travel brochures. Absolutely stunning. And I never use the word stunning lightly. By early afternoon the kids were all beached out, and so we decided to spend the rest of the day at Flambards. Having been to Legoland a week earlier, I still had the ‘wasps, crowds and queues’ hate in my head, and so there was a bit of trepidation during the 10 minute drive to get there. Luckily, there was no need to worry. It was everything a theme park should be. In fact, I had the strange sensation the whole afternoon that I was in a wierdly enjoyable live game of rollercoaster tycoon, complete with a whole range of rides to please just about everyone. On the thursday, we decided to give the pool a go again. And hurray! It seems the coldness was just a blip, because this time (and the further two times we went swimming) the pool was lovely and warm. 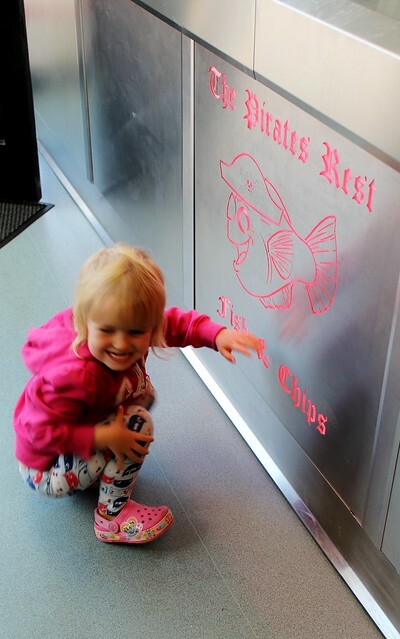 The little slide into the shallower side of the pool was a big hit with all three kids – even Little B at 17 months could use it easily – and the adventure pirate ship with its tipping water bucket, leaky treasure chest and cannon jets kept the kids entertained for ages. It wasn’t working when we first got in but we only had to ask one of the lifeguards and they happily switched it on straight away. After the pool, I made use of the free wifi in the bar while the Other Half took the kids to the Crazy Caves – a nice spacious soft play area with sofas for grown ups to relax on while the little ones burn off lots of energy. It was all well kept and tidy and the kids really enjoyed themselves – it’s nice to know that had the weather been wet there was still lots to do. 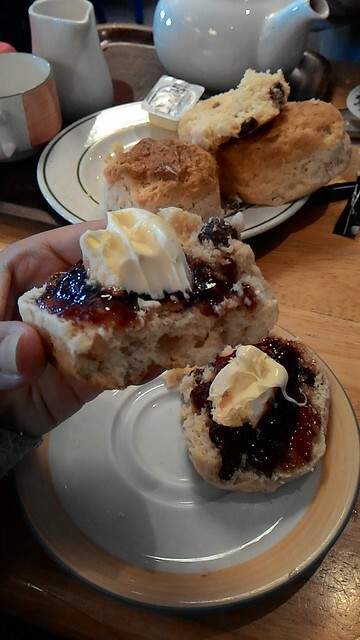 By the time we were due to leave there was only one thing missing from our holiday – and that was a decent cream tea. We’d seen lots of ‘teapot’ signs about, but you never really know what you’re going to get; for that reason I asked the reception staff if they had a local recommendation. They did, and it was ‘The Regent Cafe’ in Lizard which to be honest we would never have tried otherwise. 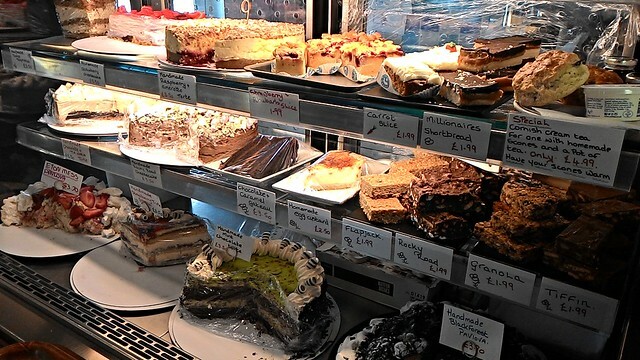 We were told to expect delectable homemade fare, and that is exactly what we got – in fact there was so much choice of so many tempting looking things that we ended up getting take out for our tea as well! We also realised while we were there that it would have been nice to have more time to explore Lizard too, it looked like it has a lot more to offer than just delicious desserts. All in all I think it’s probably the best Sun £9.50 break we have ever been on – and we have had a few. Every single staff member was courteous and friendly, all the facilities were well kept and well thought out, and the accommodation was fantastic. 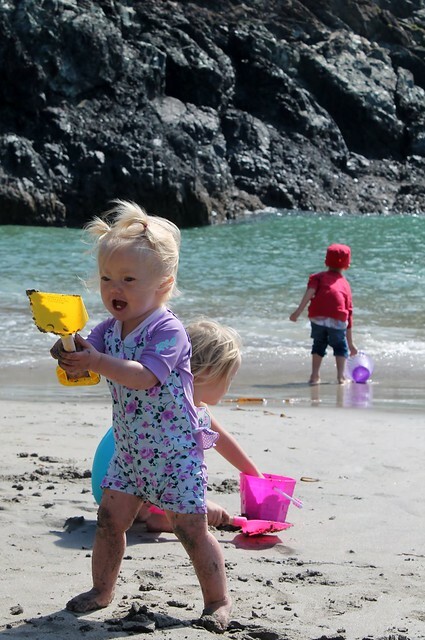 If you’re looking for a holiday park in Cornwall, we definitely recommend Parkdean Mullion. And we’ll definitely be back again ourselves too! Disclosure: We paid for this holiday ourselves, and we weren’t asked to write about it. 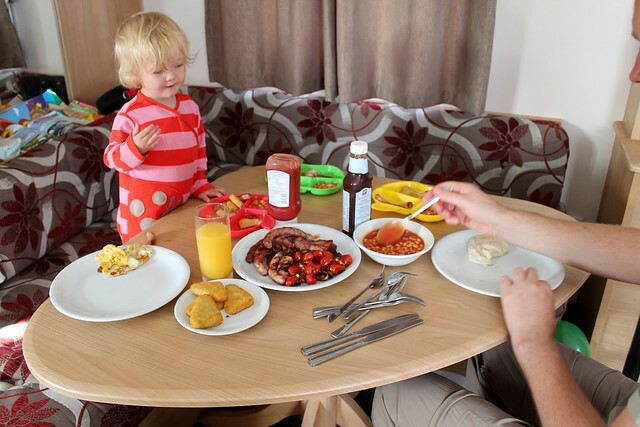 11 Responses to "A Cornwall family holiday at Parkdean Mullion (Sun £9.50 holidays)"
Sarah Bailey recently posted…What does your desk say about you? I didn’t like cream as a child (to be honest I’m not that keen now either), but Cornwall has always been one of my favourites. Went last year for a girlie weekend. Cornwall is such a lovely place to visit. It sounds like you had a great holiday, those Sun holidays are a great bargain. Kara recently posted…A teenage milestone – learning to shave! Reading this initially filled me with dread, as my holiday nightmare, but then I began to smile: I’m so glad you had such a good time, things improved from broken sofas and cold pools and enjoyed Cornwall. We were there earlier in the summer too and had great time. It’s such a great family destination! Abi – Angel Eden Blog recently posted…Make your own word game with Bostik! I am loving that the even if there was an issue they handled it super well! that to me speaks volumes! Jaime Oliver recently posted…Bedwetting – Busted With DryNites! WOW, that sounds AMAZING for the price! Emma recently posted…What will you do with the extra hour?